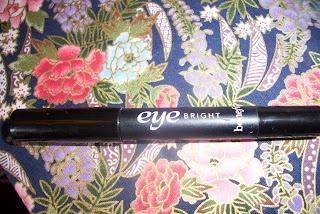 I picked this up at a bargain price for a Benefit pencil and so far I have to say I am really impressed. I have used just basic white pencils before and never been that excited by them, but the good consistency and pinky undertone really does make my eyes pop more and give them a brightness I was not expecting. Too much product and my waterlines could look too pink but with applying it right I am definitely impressed and have added this into my morning routine. The big chunky pencil means it will last a good length of time. Just be sure you have a sharpener that is big enough. 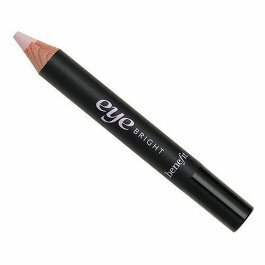 Also great for dabbing a little above the cupids bow and using as a highlighter on the cheek bones and corner of the eye. I hope everyone had a lovely weekend, I stuffed my face far too much going for a nice italian on Friday with Friends and then a slap up Scottish meal on Saturday with the Family, then yesterday It was a holiday here and my lovely HP took me on a day out and then to see Les Miserables for my birthday, it was the best gift ever and it was an amazing show. The diet is going to have to start today however, I have a black tie event at the end of the month and A dress already bought that I will struggle to fit into...whoooops. I am going to have to look into this eye bright situation - I always try the white pencils and found them to be WAY too white, but this looks good. And I'm glad you had a good weekend! I ate way too much as well - that's what weekends are for, ha ha!